Discover the convenience, comfort and contemporary style of Sheraton DFW Airport Hotel. Located two miles from the Dallas-Fort Worth International Airport, our hotel boasts 300 recently renovated hotel rooms, which blend second-home comfort with preferred amenities. Elevate your stay in Dallas by choosing a Club-level accommodation to enjoy optimal space, additional perks and exclusive access to our Club Lounge. Easily attend your conference at the Irving Convention Center, only a five-minute drive from our hotel or browse the specialty outlets at Grapevine Mills Mall, only eight miles away. After a day of business, exploring or travel, savor Texas-inspired cuisine at Whiskey Tango, our hotel's signature restaurant, workout in the 24-hour fitness center or unwind with a dip in our sparkling outdoor pool. 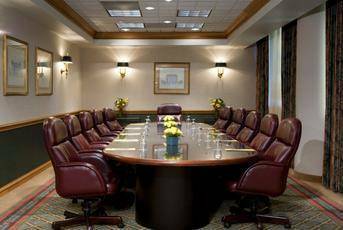 With 48,221 square feet of flexible event space, expert planning services and complimentary shuttles to DFW Airport, our Dallas hotel is the ideal choice for business meetings, weddings and special events. Whiskey Tango: Located in the heart of the hotel, Whiskey Tango features shareable plates and regional fare. Enjoy our in-house smoked brisket sliders, specialty salads, and locally sourced beef. Pair it with a craft cocktail made with spirits from nearby distilleries.